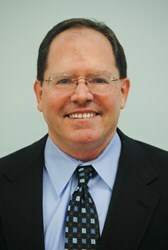 Taps consumer product industry veteran Jim Shute as principal recruiting consultant. "In the current dynamic Dallas/Fort Worth business market, Jim is the perfect addition as LINKED continues to grow its capabilities to identify and place hard-to-fill executive positions in multiple industries," said Paula Calise, principal, LINKED. LINKED, a leading executive search firm that specializes in placing executives in hard-to-fill management positions, announces the expansion of its recruiting services in the Dallas/Fort Worth market in response to current business growth. Jim Shute, a consumer products industry veteran, has been tapped by the rapidly-growing firm as principal recruiting consultant. In his new role, Shute will focus on local and national consumer package goods and beverage companies. During the last decade, the North Texas area has been poised for employment growth. Dallas and Fort Worth had a combined growth of over 250,000 people between 2010 and 2012. According to the Bureau of Labor Statistics, employment in both Dallas-Fort Worth/Arlington and Dallas/Plano/Irving has increased at a steady rate since 2003. As of August 2013, unemployment is 6.4%. With such business development, there is a greater corporate demand for professional and executive placement and the need for LINKED’s noted recruiting services. Shute’s background touts over twenty years of sales and sales management in the consumer package goods and beverage industries. He brings to LINKED renowned expertise in district and national account executive positions for companies that include Shell Oil Products, US; The Coca-Cola Company; The Gillette Company; Kimberly-Clark Corporation; and Davaco, Inc.
"We are excited to have Jim join our team," said Paula Calise, principal, LINKED. "His diversified sales management expertise, in-depth knowledge of consumer package goods, and a large, respected network of contacts are unparalleled." "In the current dynamic Dallas/Fort Worth business market, Jim is the perfect addition as LINKED continues to grow its capabilities to identify and place hard-to-fill executive positions in multiple industries," added Calise. Headquartered in Dallas, Texas, LINKED, a Calise Company, is a leading executive search firm that specializes in finding the perfect mid-level and executive matches for hard-to-fill management positions. The firm’s principals, Paula Calise and Kurt VandeMotter, with more than 50 years combined management and industry experience, are hiring managers by profession. Using a client-friendly business model, LINKED leverages its hiring expertise to identify the best and brightest candidates for its clients. As a result, 90% of the firm’s management searches are from repeat clients. http://www.linkedexec.com.